The result was a highly collaborative environment that maximized flexibility, increased amenities throughout the facility and delivered an environment that met the needs of the new corporate structure. Endo Health Solutions was located in Chadds Ford, PA in a seven-building complex. The initiative was to locate all corporate HQ functions under one roof in a state-of-the-art flexible facility-relocated to Malvern PA. 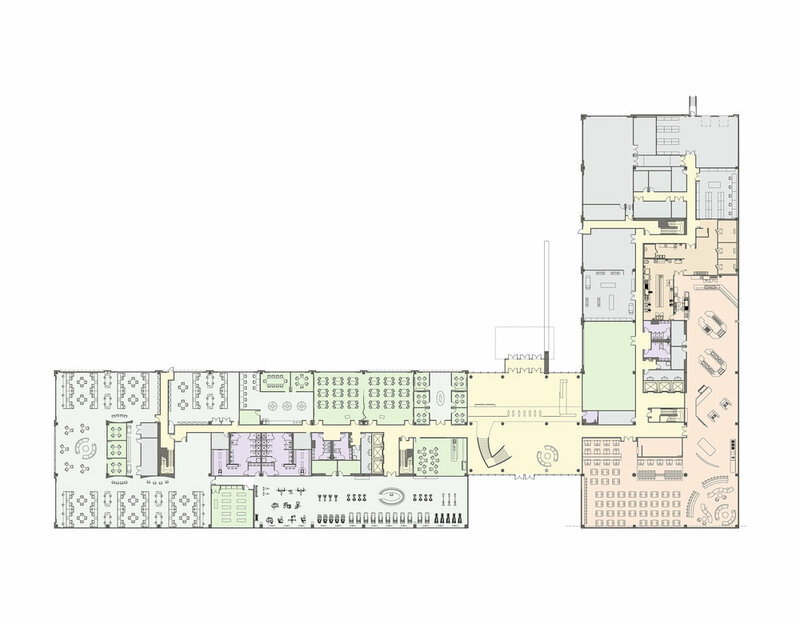 The result was the development of a new turn-key 300,000 SF complex, with approximately 220,000 SF of office space and 80,000 SF of common areas and amenities space. The relocation of the new HQ reinforced the cultural change in the organization. For the first time, Endo brought seven different locations under a single structure. L2P assisted Endo’s real estate, legal, financial and operations partners with the analysis of potential locations, developer relationships, capital investment and development opportunities to satisfy Endo’s real estate criteria and change for their organization. 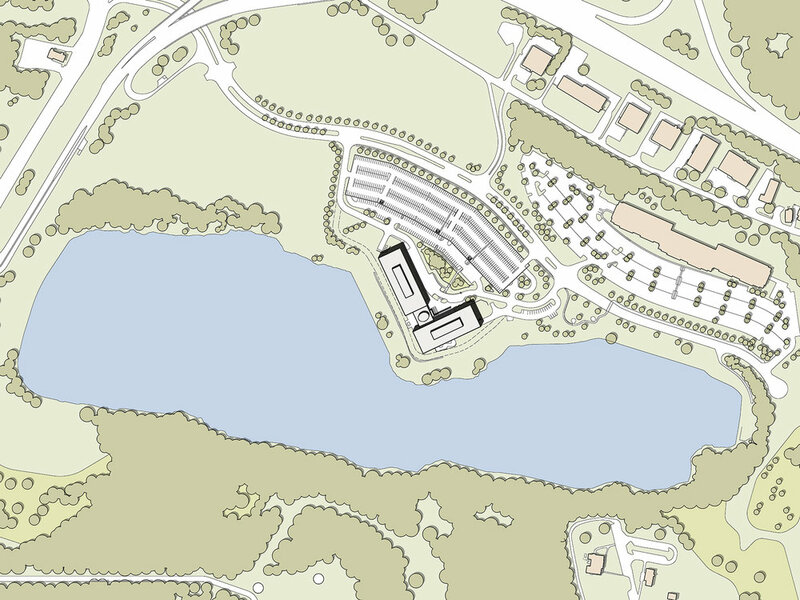 The result was the selection of a greenfield site at the Atwater Campus in Malvern, PA with Trammell Crow Company as the developer and IMC Construction as the construction manager. Collaboration between the developer, design team, construction team and local municipality permitted the implementation of timely, well thought-out decisions regarding the site, building position, structural system and building exterior envelope. Real-time cost data provided by the construction team allowed the design team to craft a facility design that responds to project design criteria in a cost-effective manner. L2P employed a two-team design approach – building core & shell and interior fit-out to execute the design in a Fast-Track/ multiple design package delivery model.